Guess I should take a break from drawing buildings so this month is a sketch of Shenlong, the dragon from 'Dragon Ball'. Dragon Ball had been my favourite series when I was a kid, still remember the excitement every time the hero shouted 'kamehamehaaa!' to release his power. This drawing was requested by my brother and he wanted it to be coloured. If you follow my Instagram, you'll find that I only produce black and white sketches. Thing is, I am bad at colouring so I never display any coloured sketch before. I do realize that my watercolour set getting dusty so why not just try it for this one, right? But since I'm taking a risk of it to be ruined, here's the black and white version first. I don't know how it will turn out after I put colour in it as it'll be my first time in years trying to colour my drawing so please pray for it to be okay, okay? Hope you like this one, though. Waiting for the colored version, whatever it actually resulted in. Hee. Ahaha but I seriously bad at coloring so no idea how it'll turn out. 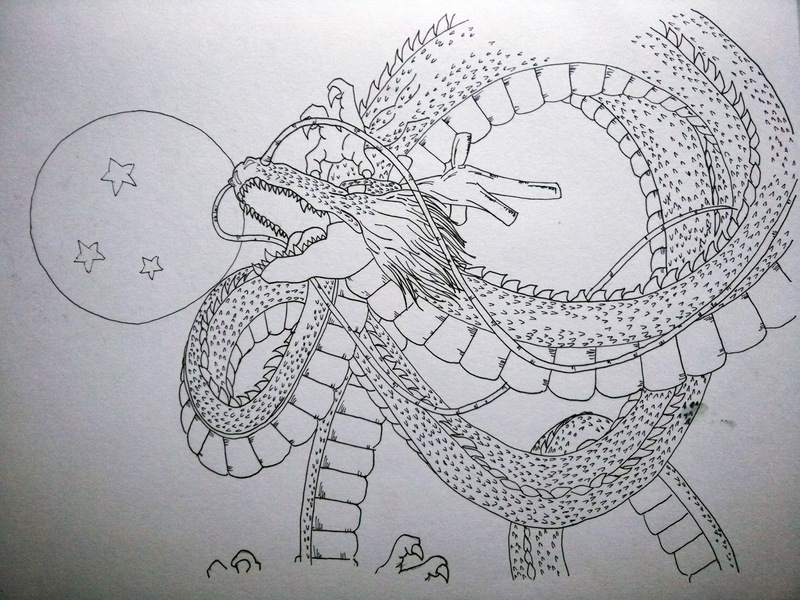 Look forward for the colored version of this dragon! I know you'll slay it! so talented and you have a nice drawing skills here, I'm impressed.